Srsly where’d that week go? The best things about working in 2-week iteration cycles (sprints) is that as soon as you feel like things are getting a bit unwieldy or foggy the next iteration starts and you have to revisit the team's goals together. It’s like having a bit of a cold shower after you wake up in the morning. Getting some of the current site up of the walls allows me to see which components we don’t have a bit clearer. Towards the end of the iteration (Monday and Tuesday, basically) it felt that we were a bit unsure if we were heading in the right direction. Tuesday’s retro and goal review were stark, we hadn’t achieved what I thought we would. The beginning of the new iteration (Wednesday) soon set that right, with a tighter, more focussed set of goals. 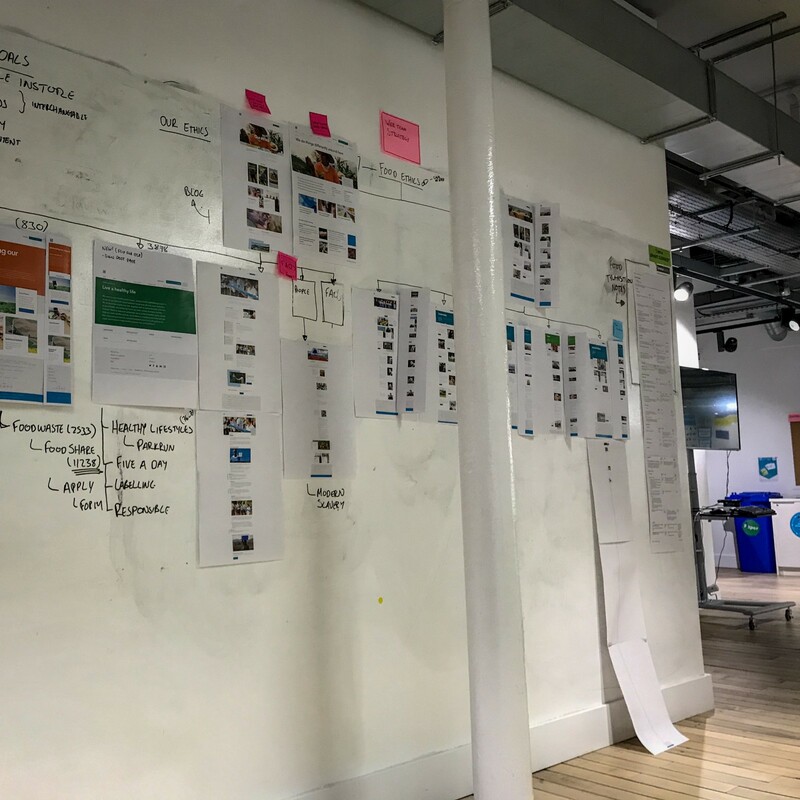 These goals included building a prototype for a new ‘deals’ section (soon to be retired one here) and scoping out Food Ethics to see if our design system would fit with what we have already. Turns out it needs some tweaks as most of the new components in the design system are product cards and category interactions. Chatting to Gup (front end dev), he seems to think the new designs he’s seen so far isn’t too hard to knock out in a reasonable time. Thursday we had a super tough chat with one of our stakeholders. Food are generally still in the commissioning mindset and too concerned about features they want us to deliver. We’re trying to change that by getting them to focus on what outcomes and goals they’re trying to achieve rather than being too concerned by the look of the things we’re working on. Another aspect of the conversation was operational ways of working post-transition, that is still unclear. Afterwards, I took them through some designs and they were largely positive towards them, although they then have to go back and get their superior to come over and see them. The hierarchical nature of some of this business is frustrating. Business transformation isn’t supposed to be easy though is it?? This has taken a bit of a back seat this week and is likely to in this iteration. Apart from preparing for A Really Important Meeting in a couple of weeks time, the focus is on scoping the food transition. Other than product team work a lot of my mental and physical time this week has been in recruitment and interviewing. It’s hard work. Monday I got to show some students from Connell College around Federation House and Co-op Digital. Jack F rebooted the service design Wednesday lunch and video which is awesome. 🎧 My own playlist this week. Includes Vök, Daniel Avery, Chemical Brothers and soundtracks.